Following a letter of expression of grievances from the aggrieved member of All Progressives Congress, a block of nPDP led by the former Chairman of the People Democratic Party (PDP), Alhaji Abubakar Kawu Baraje giving the ruling party and Mr President a 7-day ultimatum to address their grievance. A faction of the All Progressives Congress (APC) loyal to President Muhammadu Buhari in Kwara state has disassociated itself from the 7-day ultimatum given to the party and Mr President by members of the nPDP-led by Abubakar Kawu Baraje, adding that the party leader should not be intimidated by Baraje group’s blackmail. The position of the factional group is contained in a statement signed by the chairman of the Group Hon. Olayemi Olabanji and its Secretary, Alhaji. Abdulganiyu Saka, the group pointed out that the APC under the leadership of President Muhammadu Buhari has performed exceptionally well. According to the release, the group appreciates President Muhammadu Buhari in his efforts are repositioning Nigeria’s economy. “We appreciate the president’s efforts in re-positioning the economy of the country, as well as his anti-corruption campaign which has positioned him as a leader who has the interest of the masses at heart. The group refutes the claims by the nPDP Tthat they were being short-changed, it said: “As against the assertion that the president side-lined those who worked for the success of the APC during the 2015 general elections, we can categorically state that Kwara state, where Kawu Baraje comes from, has benefitted tremendously from the administration of President Muhammadu Buhari. It should also be borne in mind that Kwara state was a beneficiary of Federal Board appointments which, ironically, were cornered by Baraje’s sponsor and shared only among his cronies including Baraje himself and another agent at the party’s headquarters, Bolaji Abdullahi. “Aside from juicy appointments from the federal government, Kwara state is a beneficiary of the ongoing infrastructural development across the country, and we are very optimistic that more good things are underway. “Arising from the foregoing therefore, we want to say, without mincing words that the letter by the Baraje’s faction of the APC to the party is a self-serving one and its not in the interest of all party members. The statement added that Kawu Baraje faction is only crying foul, “Ironically, the Kawu Baraje’s faction of the APC is only crying wolf where there is none because in actual fact, they are the ones depriving genuine APC members their dues, and not the federal government. According to the statement, “The State APC machinery is solely run by Baraje’s boss, Sen. Bukola Saraki and not even the governor, Alh. Abdulfatah Ahmed, has any say in the running of party affairs. “The three Senators from kwara State are Saraki loyalists. Five out of the six House of Representatives members from the state were handpicked by Sen. Saraki. “Furthermore, out of the 24 members of kwara state House of Assembly, only two are legacy members, the other 22 were hand-picked by Sen. Saraki and they are doing only his bidding in the house. “To further exacerbate the issue, the State Cabinet has been wholly Saraki loyalists. Just three days ago, the governor submitted a list of 19 new commissioners and all of them are Saraki loyalists. None for legacy, none even for independent-minded members of the so-called nPDP . “During the last ward congress, our members were disenfranchised and those who tried to protest the injustice were brutalised by the leadership of the party in the state. “Therefore, the Baraje faction of the APC does not have locus standi to talk about justice, equity and fairness because in actual fact, this is lacking in Kwara APC. “Publicizing a matter that ought to have been resolved within the party machinery, shows that they do not have the interest of the party at heart. Already, they have adopted a new slogan for APC in Kwara state. Instead of APC’s registered slogan which is change; their adopted slogan is now progress. What an affront. “The Party should be wary of the group since they are known as serial defectors the moment their personal interests are not met. They did same to Jonathan’s Government but this administration must not allow them destroy our great party. “Baraje and his indulgent faction are inconsequential and must be ignored. The president and the party should not submit to their blackmail; and they must be sanctioned in accordance with the rule of the party for disrespecting the office of the President. 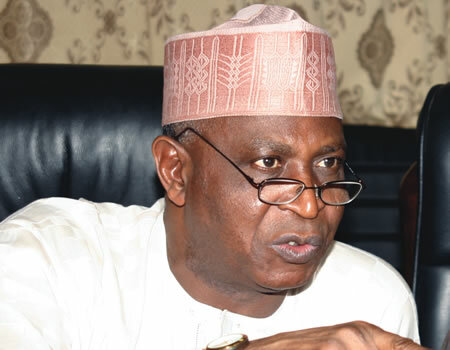 “We disassociate ourselves completely from Baraje group’s threat and blackmail. They do not speak for the teeming APC members in Kwara State who remain steadfast and loyal to President Muhammadu Buhari and our beloved party. It concluded.